For many of us, our cats are part of our families. They’re more than just pets, they’re companions who nurse us through tough times with their cute antics, and their quiet understanding and sympathy (or they cheer us up with such an obvious lack of sympathy that it’s laughable). They give us things to giggle about, like they know they can entertain us and take advantage of that. They can act like little children, too, jumping up where they aren’t supposed to, only to jump back down and become all wide-eyed innocence when caught, like a small child insisting his hand was not in the cookie jar. But sadly, we’ll see when our cat dies, often before we do, and it’s devastating. But not everyone will have words of comfort or empathy when it happens, and that can be worse. 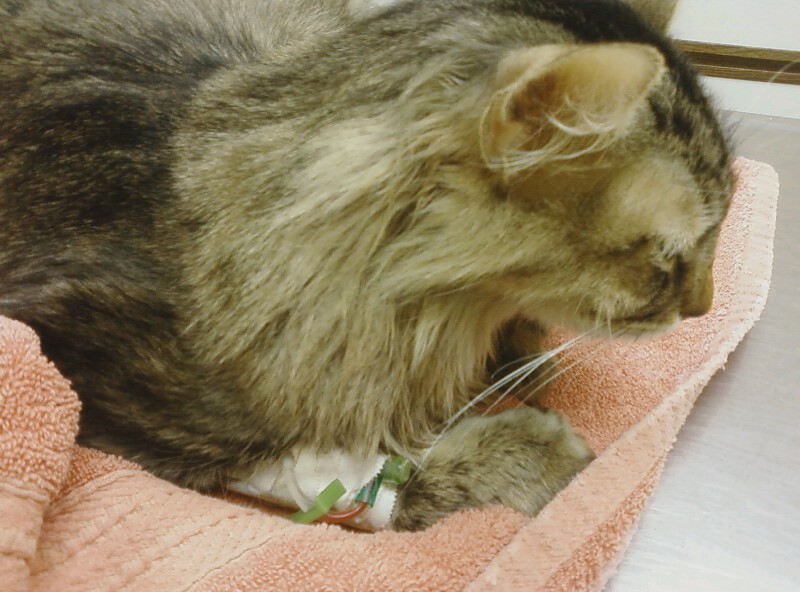 Recently, I’ve been comforting a friend whose beautiful feline friend died suddenly. He and his wife are grieving, their child cries over her loss, and for what? Who cares when a cat dies? She was just a cat, right? Our beloved feline companions are not just cats, whatever people who don’t understand may say. Your cat didn’t judge you for any mistake you ever made, when the people around you did. He didn’t offer advice that was both unhelpful and unwanted when your relationship fell apart. He knew when you wanted company the last time you had the flu, and when you just wanted to be left alone in your utter misery to try and get at least one moment of sleep. You knew his love was true and unconditional, even when it felt like nobody in the world loved you. He was, in many ways, your best friend, and so much more. So when your cat dies, it’s awful. An article on the North Shore Animal League’s website tells the truth when it says that nobody is surprised to see us grieve over the death of a loved one, but many are when they see us grieving that same way when our cat dies. Non-pet owners often feel that a pet is just an animal, and that you’re making a huge deal over nothing (some who have pets of their own do this, too). These people might even question your mental health, which is just plain offensive. With our cats, a death can be especially devastating because we often have no idea that they’re even sick until it’s too late to do anything. Cats are very good at hiding illness until they’re too sick to keep putting in the effort. Alessandro Macaluso published a poignant article about her cat, Bear, and how he’d seemed just fine two days before his death. He had a large mass on his bowels, which killed him. My friend’s cat may have felt perfectly fine before she passed, too, but she may also have been hiding something. She suffered from hyperthyroidism and had high blood pressure as a result. He doesn’t know exactly what happened – she appeared to have a seizure, for which they took her to the vet. Later in the day, she passed away in her sleep. Who knows whether she was feeling bad, or if the seizure came upon her as suddenly as it looked? Not knowing that your he’s even feeling bad makes it that much harder to process it when your cat dies. Arin Greenwood talks about what it’s like when your cat dies unexpectedly. She, too, wonders what she could have missed when her cat, Derrick, died suddenly. The vet said it was likely a stroke or a heart attack, but she and her husband second-guessed themselves for a long time, wondering what they missed. There are people who will ask you how you could possibly not know your cat was sick. The truth is, it’s not hard, and it doesn’t mean you were neglecting him in an way. 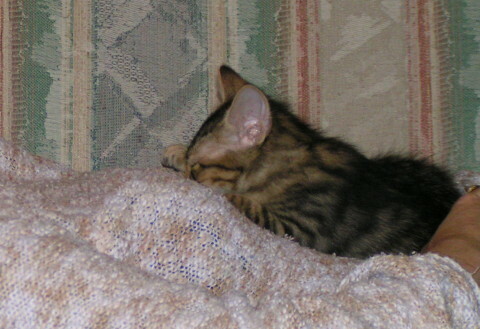 Chase was once very sick, but he just seemed slightly out of sorts and I thought maybe he had a little bug. I felt silly taking him to the vet, but it turned out he was so sick he needed emergency surgery (fortunately he survived and is still with us). He’s a master at hiding when he’s not feeling well. Most other cats are, too. But even if you knew your cat’s time was coming, it can still be very difficult when he actually does go. Yes, you knew, but that doesn’t make it easier. Those who don’t understand might say, “But you knew it was coming.” You might know it’s coming with a human family member, too, but that doesn’t mean it doesn’t hurt. I lost two cats within a years time. It was the most devastating thing I went through. I was told by some go get another cat. It has been about 10 years and I still don’t have another cat. I can’t do it, I can’t go through that again. I have put up a wall that I can’t break through. They were everything to me. I, too, lost two cats about a year apart. They were brother and sister. The first died just before turning 16 and the other a year later just before 17. If I hadn’t already acquired another cat, I don’t know if I could have gotten another. The grief and pain are still there. The realization I am likely to have to go through losing another in 12-15 years is heartbreaking. I just don’t know which is worse; living with a hole the size of a cat, or dog, in my heart or losing another that has taken up residence filling that hole. It is solely up to you. One deals with the pain as one can. I lost 3 in one year and I haven’t been able to get another cat either. Way too painful and it’s been about 8 years. Nothing can replace the love that you bear for your cat once he or she passes away .It is devestating. However I do beleve and say that after one’s worst period of mourning, go to a shelter and rescue or save the life of another kittty. I adopt, take in ferals and give them a home and love in the memory of my lost beloved companions. There are so many cats that die because they have no home. In your precious cat’s memory adopt a shelter cat or agree to support a shelter cat. Go volunteer at a shelter. Your pet would want you to do that. My Ragdoll cat Sassy (a street cat) came to us when she was four. She became quite the lap cat, followed me around like a puppy, was very affectionate and woke me up every morning by climbing on my stomach or my arm and announcing it was time to start our day! She outlived my husband, sharing my grief when he passed in 2012. We made the move in March 2014 from Michigan back to Missouri where I was raised. Sassy lived to be 18 when she passed from failing kidneys. I still miss her, having had her in my life for 14 years. While another cat would never replace Sassy, six months later I missed my little companion enough to head to the local animal shelter where I found a beautiful silky, longhaired totally black cat. I adopted Sascha on the spot. I needed a companion; she needed a home. Sascha has been with me two years now, and we enjoy this symbiotic relationship. I’ve shared my home the better part of my life with cats. Yes, it is painful when they die. But cats bring such joy, and there are so many needing rescue and love. So I grieve, I find a tender spot in my mind and heart to place the memories of the one who stayed as long as she could, and then I head once again to the animal shelter until a feline with that special “meow” catches my attention. And if we seem to hit it off after an hour or so, I head home with my newfound four-legged friend, hoping she is as open to forming a relationship with another human as I am to finding another little furball who has the potential to take another little piece of my heart. Pets give us so much and ask for so little in return. Sascha still doesn’t let me pick her up; but she will cuddle next to me or stretch out, asking nicely for a belly rub, and she sleeps with me most nights. Cats have distinct personalities, just like people. I hope you will be able to deal with your grief some day to the point that you, too, will journey to the pet shelter where a tiny little furball of a creature will sing you her song, she will melt your heart, and the two of you will write a new chapter in your lives. Good luck in your quest. I just lost a 6 month old kitten named Onyx. All my friends know how much my cats mean to me. They were all sympathetic and made me feel good by telling me that he was a special kitten and that I cared about him more than anyone they knew. They hugged me and comforted me by their kind words. I’m ashamed to say that before I had my own pets, I too was very casual about the loss of any friend’s furry companions. Now that I have suffered the loss of my own cat and two dogs, I can well understand the pain and sorrow. And I can understand the fear of going through that again. I too was afraid to adopt another pet because I didn’t want to go through the pain. But I found that the immense joy to be derived from loving an animal, and having the animal care for me, is worth the world. I recently lost 5 of my cats within a month and a half. I’m very good at paying attention to each of them, so normally know when something is not right. Three of the 5 I got to the vet and found there was nothing I could do. The Vet helped them across the rainbow bridge. The other two I found already deceased when I came into the living room after getting up. I saved the 6th. I got him to vets office to find not only was he badly infested with fleas ( this after a stripe on spray and super treatment of my house. Blood work found a bad infection. My cat owning friends totally understood what I was going through. My dog owning friends were sympathetic but not to the same degree. Some told me oh it’s just a cat, you have others that will take their place, oh I’m so sorry go get another and oh so sorry. Only pet owners really understand the devestating feeling losing not one but multiples. It’s not just about cats. I had hamsters, a guinea pig, a ferret. Every one of them were family to me. When they left I cried like a baby for days and I needed time before I could get another “pet”. I have a cute black cat now and I love him so much. And yes, I’ll cry again when his time comes. And I’ll tell every insensitive yerk that he was my family and I loved him more than any other human in my life. Family matters and animals are family members too. You are quite correct. I raised rabbits when I was young and I was devastated when they would die. I’ve never understood how pets can NOT be seen as family to some people. Sadly some people are just insensitive and only think about themselves. Those selfish people cannot understand the joy of having a pet, a new family member in their lives. Their loss, though.